For the first 20 minutes of THE TREE, I thought I might have some difficulty connecting with the film. I saw the beautiful cinematography, the fantastic location, the small moments of interaction between the characters and I feared that it would be an experience for the eye, maybe the mind, but not the emotions. Dawn O’Neil (Gainsbourg) is left to care for four children; a teenager and three younger ones and has no support whatsoever, their nearest family lives more than 1000 kilometres away. The O’Neils live in a drought-stricken part of rural Queensland. Dawn had every expectation that she had years to live with her husband. She is not ready to cope with his loss. At first, the family’s reaction is detailed in a series of vignettes. THE TREE is not about characters revealing themselves through dialogue, it’s about a family where no one has the ability to speak about how they feel. How they deal with their grief it is private. Dawn doesn’t take charge and guide her children through this journey as might be expected of a certain type of film. The family has lost a vital part of its core and everyone is drifting as a result. After a time, Dawn begins to pull her life together and for me this is when the story became more compelling. This is also where the film opens out and we see more of the town they live near.Dawn’s relationship with the local plumber George has all kinds of ripple effects on her children and especially her daughter Simone. Simone (Davies) as a character, is of equal importance to Dawn. She is more focussed and more wilful than her mother and to some extent more of an adult, despite being 8 years old. There is also some sense that she may be more like her late father than her mother. In the end, director Bertuccelli brings together all the apparently disparate elements of THE TREE and creates a subtle tale of family life. The O’Neils live in a landscape unfamiliar to most people, however their subconscious struggle to work out who they are now one of them is gone, is made universally understandable. The performances that Bertuccelli elicits are uniformly excellent. Gainsbourg never does anything one might expect and that makes her intensely watchable. Morgana Davies as the daughter Simone has a lot of power for an actor of her years. Marton Csokas who is usually very comfortable playing polished sophisticates, ockers up convincingly as George the plumber. And it was good to see veteran Australian Talent such as Penne Hackforth-Jones and Gillian Jones in supporting roles. THE TREE was the official selection at the closing night at Cannes. It is an Australian French co-production from Yaël Fogiel of Les Films du Poisson and Western Australian Sue Taylor of Taylor Media. The story of how this creative partnership came to be, is documented on the movie’s official website. 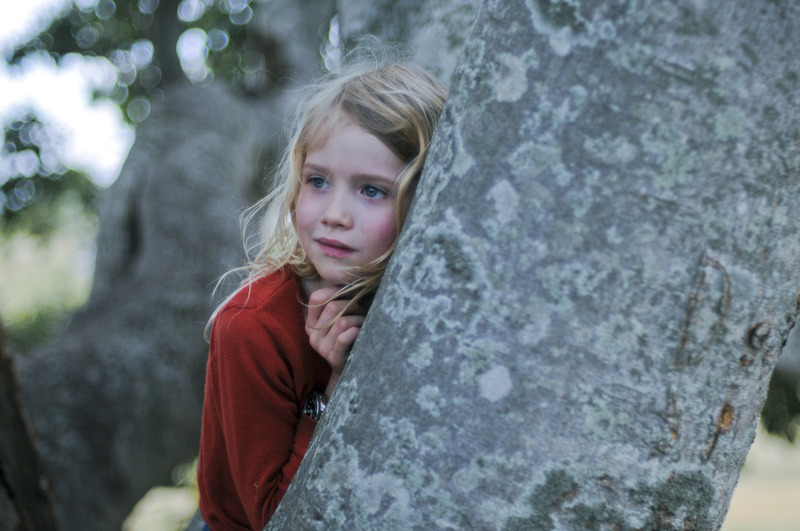 The film is an adaptation of author Judy Pascoe’s novel OUR FATHER WHO ART IN THE TREE.